Feel the smell of summer contained in the series with coconut oil. 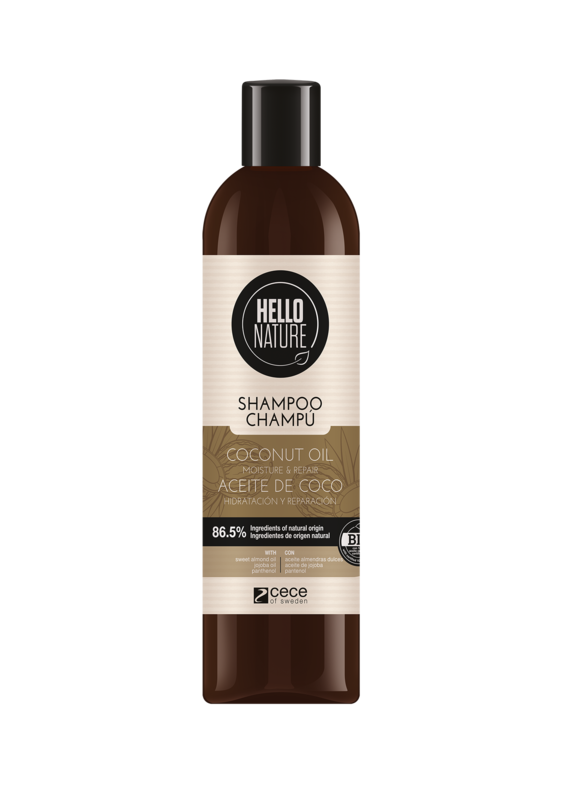 Palm trees, a sandy beach, the sound of ocean waves and… perfectly-cared-for hair with Hello Nature! COCONUT OIL MOISTURE&REPAIR shampoo ensures gentle cleansing and intensive hair regeneration. Gives a sense of moisture, restores the shine and gives the hair a healthy appearance. 86,5% of the ingredients are of natural origin. Directions for use: Apply a small amount to wet hair, massage gently into a lather, rinse. Repeat and enjoy beautiful hair with the scent of coconut summer! COCONUT OIL MOISTURE&REPAIR conditioner provides moisture and intense hair regeneration. 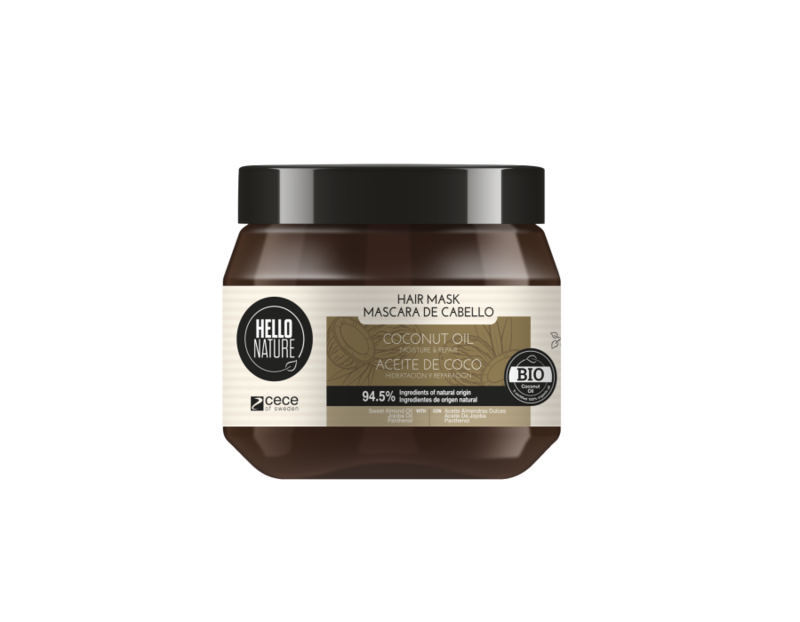 It restores hair shine and gives the hair a healthy appearance, hair becomes strengthened and pleasantly soft to the touch. Directions for use: Apply a small amount to wet hair after shampooing, avoid direct application to the scalp. Leave for 2-3 minutes, rinse thoroughly and enjoy beautiful hair with the scent of coconut summer! COCONUT OIL MOISTURE&REPAIR mask. It gives a feeling of intense moisturising treatment and regeneration. The rich formula brings protective effects on hair, strengthens and makes it regain its smoothness. Directions for use: Apply a small dose to wet hair after using shampoo. Leave for 5-10 minutes, rinse thoroughly and enjoy beautiful hair with a summery coconut scent! 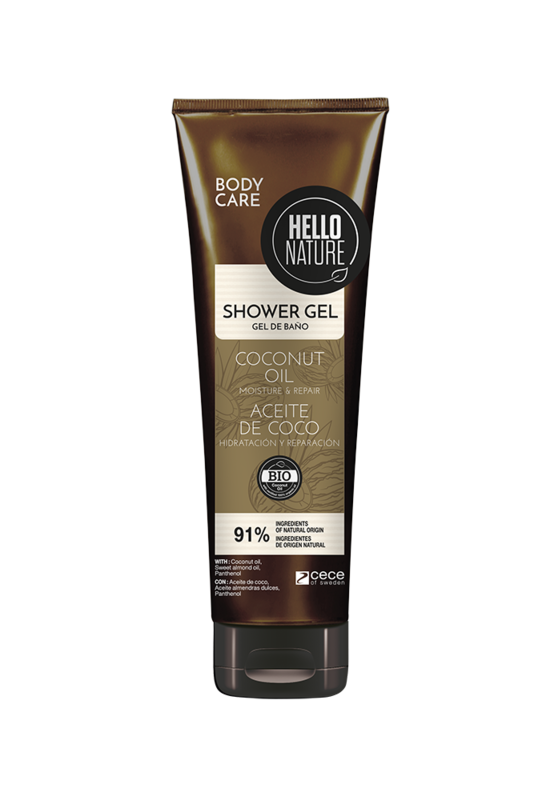 COCONUT OIL MOISTURE&REPAIR shower gel gently cleanses and intensely moisturizes your skin, restores its elasticity and healthy radiance. Directions for use: Apply to wet skin, gently massage until ot foams, wash off. Enjoy the scent of coconut summer lingering on your smooth skin. 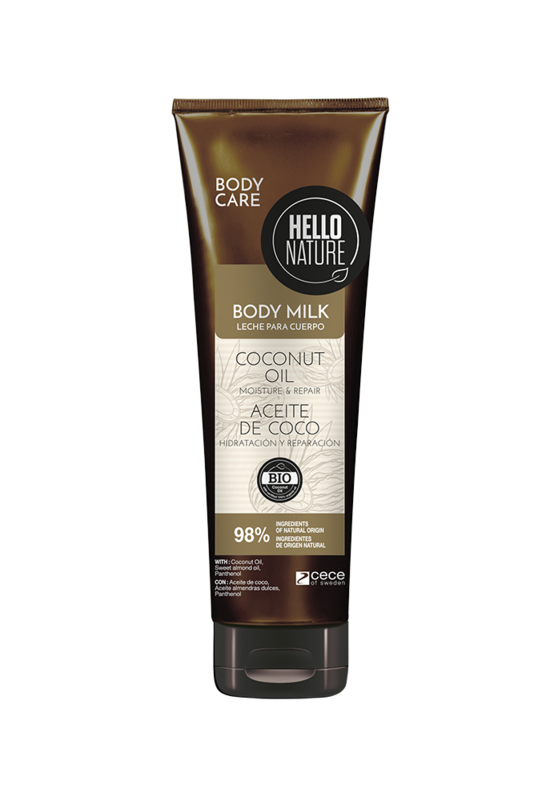 COCONUT OIL MOISTURE&REPAIR body milk, restores elasticity and healthy radiance, leaving your skin feeling deeply moisturized. 98% of the ingredients are of natural origin. Directions for use: Apply a small amount to clean and towel-dried skin, and gently massage until fully absorbed. Enjoy the scent of coconut summer lingering on your smooth skin! 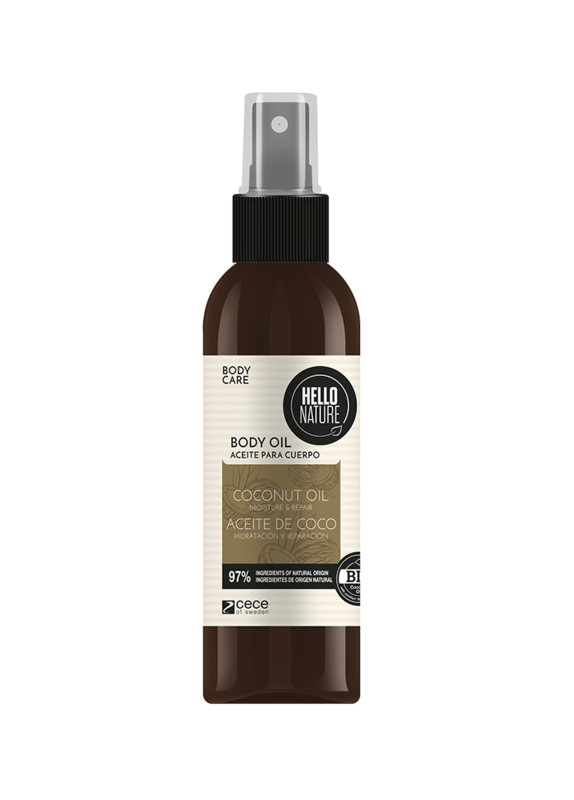 COCONUT OIL MOISTURE&REPAIR body oil, intensely regenerates and deeply moisturizes your skin, leaving it silky smooth to the touch and glowing with health. Directions for use: Pour a few drops of the oil into your palms and rub all over the body. Enjoy the scent of coconut summer lingering on your smooth skin. 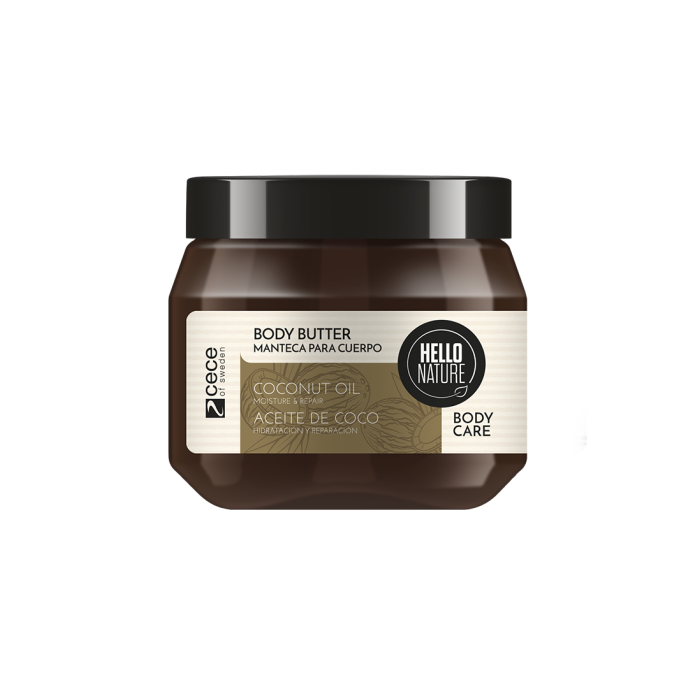 COCONUT OIL MOISTURE&REPAIR body butter, intensely regenerates and deeply moisturizes your skin, leaving it silky smooth to the touch and glowing with health. Directions for use: Apply a small amount to clean and towel-dried skin, and gently massage until fully absorbed. Enjoy the scent of coconut summer lingering on your smooth skin.